When it comes to race day, if you have friends or family spectating, it is your responsibility to tell them where things will be and where they should be if they want to see you. Why? Because you should already know a lot about this race, the course and if the start and finish line are the same. They are there to cheer you on, so it would be nice if they had someone tell them the information they need to know rather than try and figure it out on their own, because let’s be honest, that’s not nice. 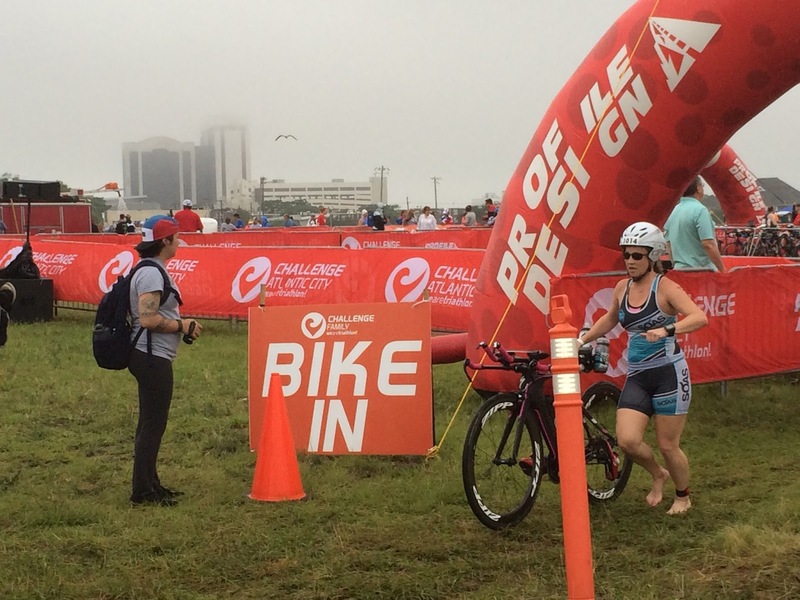 When I have friends and family attending races, I already know where I want them to stand or stay so I can see them, but if it is a triathlon with many different points on the course, I always inform them of where the start, finish line and transition areas will be. So what are some of the things you friends and family should know? Check out the list below. If it starts very early and they don’t need to be there bright and early, give them an idea of what time they should be at a certain mile marker. The exact location. Providing an address or intersection would be best. If the race does not start in the same spot, make sure they know exactly where the finish line is and how to get there. When I did the NYC half marathon, I told my friend where the race started, and she met me there, and exactly where it finished. That way she knew where to meet me. Is there anywhere on the course where it overlaps? 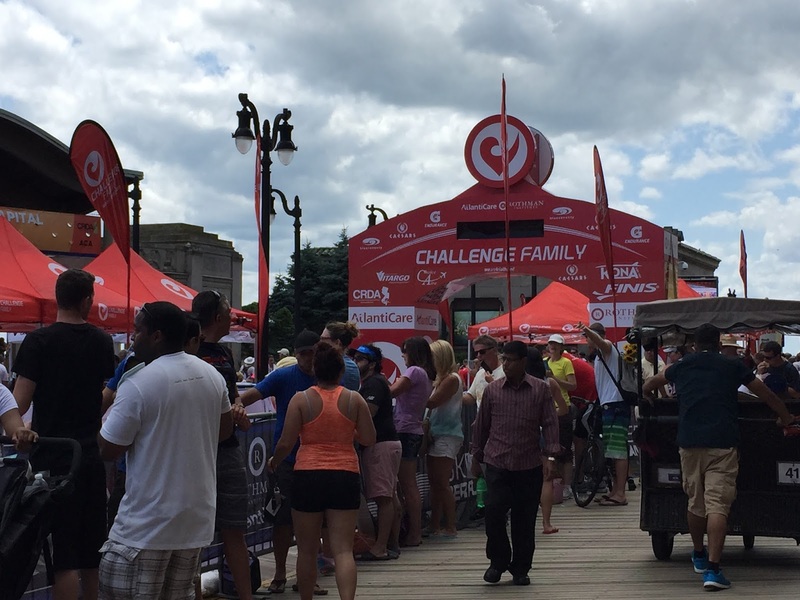 At the Challenge Family AC 70.3, the run course was on the boardwalk and looped in a couple of places, so I made sure to tell my mom where she should stand in order to see me multiple times and when I finish. It worked out perfectly and she got to see me a bunch. Will you be gone long enough for me to go back to the hotel or home and take a nap? This is a huge question because there are some races where you will not be within a spectating area and you will be gone for a few hours. So telling your friends and family you can go back to the hotel and take a nap during that time period, will make them happy. Plus if you tell them what time to be back by based on your finish time, they can make it work. For the Miami Ironman 70.3, I told mom after I was done with the swim, she could go back to the hotel, take a nap and be back to the transition area in 3 hours because that’s how long it should take to finish. She was thrilled to go back to sleep and still see me finish. Will commuting be a problem? Some races completely close down the roads which makes commuting to certain areas difficult. Make sure to inform them where and if there will be roads closed and which way they should drive to get places. Will there be food afterwards available for me? They will be hungry and most of the time post races don’t want to give spectators food. So unless you will let them snack on your plate, figure out a place to eat post race if there won’t be food provided for them. Will I get to see you run by? There are multiple points of spectating on the course so they should be able to see you run by. Let them know what time you should run by and where.